After creating your albums categories it is time to create your first album under which you will upload your pictures and images. 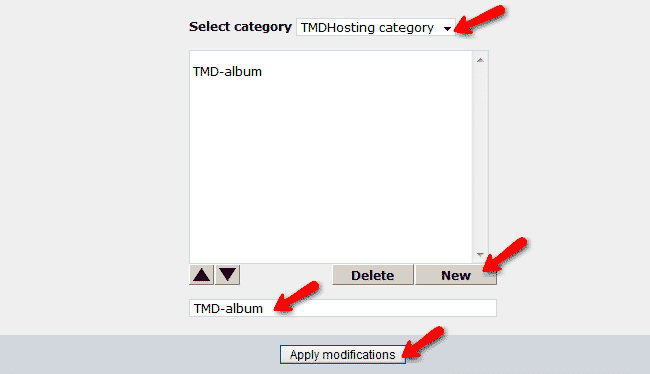 In order to create a new album you should be logged as admin user. From the top menu, please click on the Albums tab. On the new page, please select the category for your album and click on the New Button. Then you can change the name of the created album from the field below and click on the Apply modifications button on the bottom of your page. The new album will be displayed on your home page under the category you have applied.